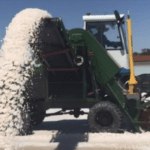 Kalium Lakes has finalised a deal to supply German fertiliser company K+S with up to 90,000 tonnes a year of sulphate of potash (SOP) over a 10-year period. 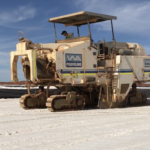 Perth-based Kalium Lakes will supply 100 per cent of its estimated phase one production from the Beyondie SOP project in Western Australia. The deal is expected to deliver around $650 million of revenue over the 10-year period. K+S will also receive a marketing fee for selling and distributing the SOP product. Beyondie is anticipated to become one of the world’s largest and lowest cost producers of potash, and has an estimated mine life of over 30 years. Kalium Lakes is the only company to possess the required approvals for commercial SOP production in Australia. The company expects Beyondie to ramp up to a full-scale capacity of 164,000 tonnes a year by 2020 with an average cost of $US179–$207 ($252–$291) a tonne. The finalisation of the K+S deal follows the announcement that Kalium Lakes secured $102 million in debt funding for Beyondie from German bank KfW IPEX-Bank. “[The agreement] further strengthens our desire to be the first commercial SOP production facility in Australia, supplying Australian and overseas farmers with a locally produced premium fertiliser,” Kalium Lakes managing director Brett Hazelden said. 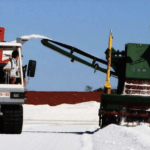 K+S is Europe’s largest supplier of potash fertiliser and the world’s largest salt producer, with a market value of over €3 billion ($4.77 billion) and over 15,000 employees.